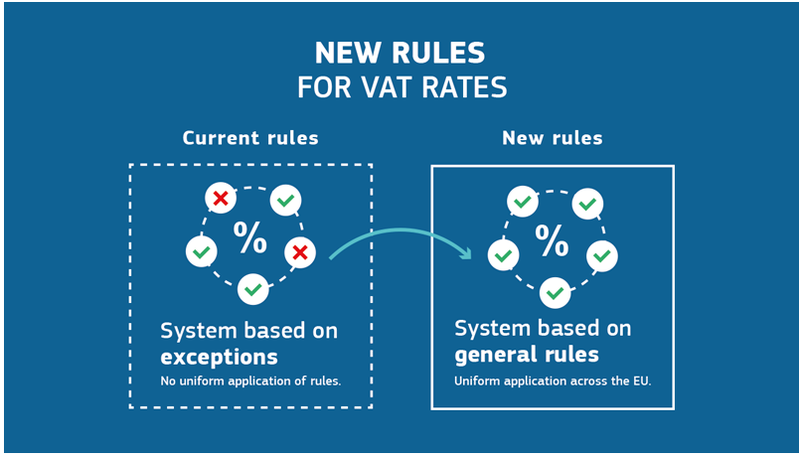 Proposal to introduce more flexibility for Member States to change the VAT rates they apply to different products. Home Newsroom Proposal to introduce more flexibility for Member States to change the VAT rates they apply to different products. 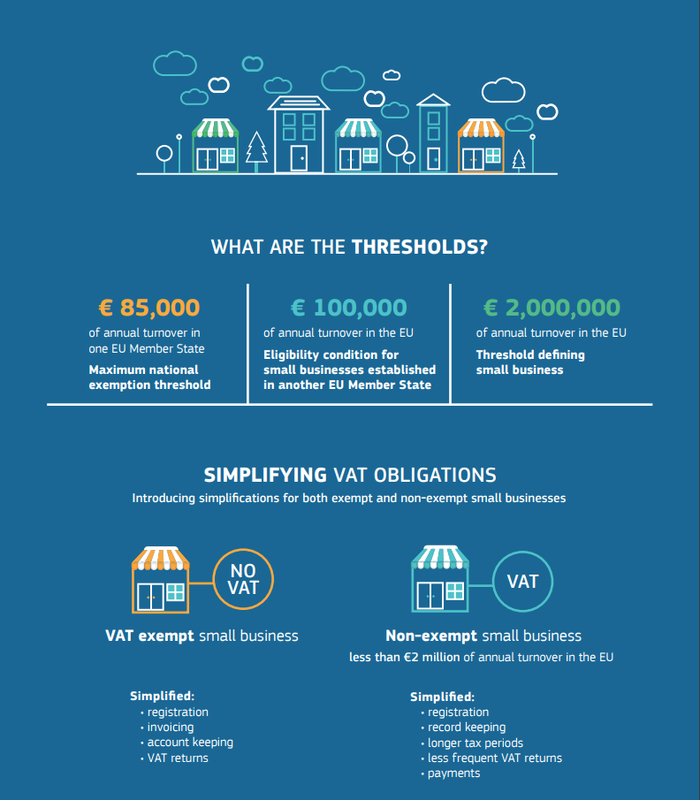 On January 18th of 2018, the European Commission has proposed new simplification rules to help reduce VAT compliance cost for small businesses. 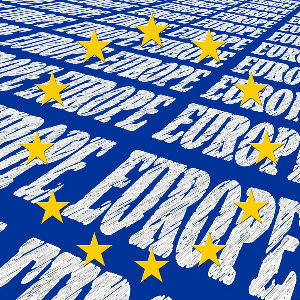 The aims to broadly overhaul current rules, establishing a robust single European VAT area fit for an increasingly globalised world. The proposed reforms will contribute to the creation of a modern, more efficient and fraud-proof VAT system, while enhancing Member States’ ability to collect revenues. The aims of the proposals are twofold: to meet demands from Member States to have more flexibility to set rates and to extend VAT exemptions that exist for domestic companies to small companies trading cross-border. The legislative proposal will now be submitted to the European Parliament and the European Economic and Social Committee for consultation and to the Council for adoption. Member States can currently apply a reduced rate of as low as 5% to two distinct categories of products in their country. A number of Member States also apply specific derogations for further reduced rates. One reduced rate set at between 0% and the reduced rates. The current, complex list of goods and services to which reduced rates can be applied would be abolished and replaced by a new list of products (such as weapons, alcoholic beverages, gambling and tobacco) to which the standard rate of 15% or above would always be applied. To safeguard public revenues, Member States will also have to ensure that the weighted average VAT rate is at least 12%. Under current rules, Member States can exempt sales of small companies from VAT provided they do not exceed a given annual turnover, which varies from one country to the next. Growing SMEs lose their access to simplification measures once the exemption threshold has been exceeded. Also, these exemptions are available only to domestic players. This means that there is no level playing field for small companies trading within the EU. A turnover threshold of €100,000 which would allow companies operating in more than one Member State to benefit from the VAT exemption.